Haaretz Editorial, January 12, 2006: The settler-terrorists act. The IOF rolls its eyes up. Amira Hass In Haaretz, January 11, 2006: The settler-terrorism is just the tip of the iceberg. The IOF is the main culprit. Micahel Sfard in Haaretz, January 11, 2006, on "law-enforcement" in the apartheid state. 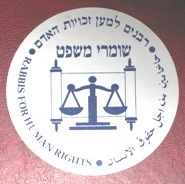 Haaretz, January 10, 2006: Thanks to "Yesh-Din" and Amira Hass, there is some chance that a semblence of justice will prevail. 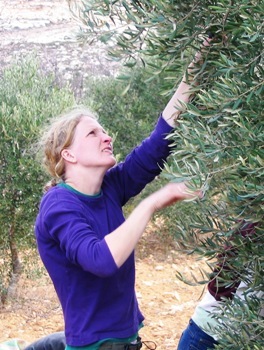 Haaretz, January 10, 2005, in English: Note that the police claims "just" 773 olive trees destroyed by settler-terrorists, in spite of evidence to many more. 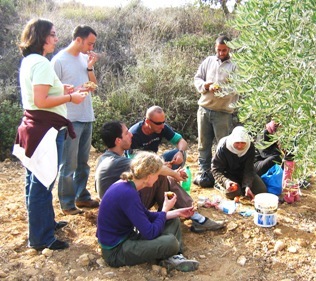 Diskin (head of gSS) in Ynet, January 10, 2006: "The gSS knows who the settler-terrorists are, who destroy Palestinian olove trees. The government prefers to look in the other way". 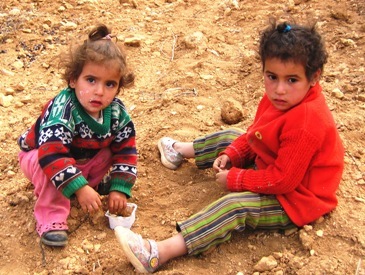 Sinjil lies on top of a high hill overlooking the road between Ramallah and Nablus, about 30 kms north of Jerusalem. Its location separates the north and the south of Palestine, and it overlooks the plain on which lies the village of Turmos Ayya. It was named during the big crusade as St. Gilles. The French Count Raymond de Saint Gilles, prince of Toulouse, built a castle in the village to protect the passage of travelling caravans. Other historical sites in the village are the old well of Prophet Joseph and a memorial holy site for the Prophet Jacob. It also contains a shrine for a holy man, Abu Ouf, from the time of the Caliph Omar Ibn al Khattab. 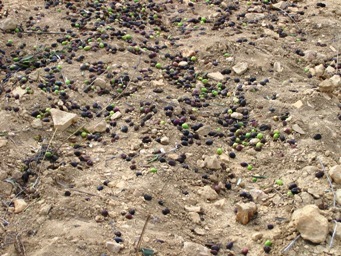 The residents are primarily farmers, and the village is well known for its grapes, figs and olive produce. As one of the oldest villages in Palestine, Sinjil is well worth a visit. "He ... took an active part in the expedition against Jerusalem, and ... exercised a very great influence on the course of events.... Raymond directed the great bulk of the crusaders against Jerusalem, and was actively engaged in the capture of the Holy City (8 July, 1099). He refused the title of king, and left Jerusalem to return to Constantinople in 1100." 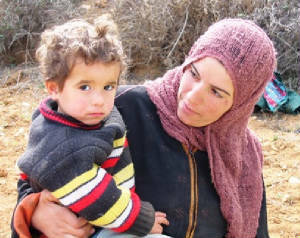 May 2005: In the West Bank village of Sinjil, near the Jewish settlement of Shilo, at least 10 Palestinians were injured by bullets or tear gas in a confrontation with Israeli forces seeking to demolish a Palestinian house, residents said. 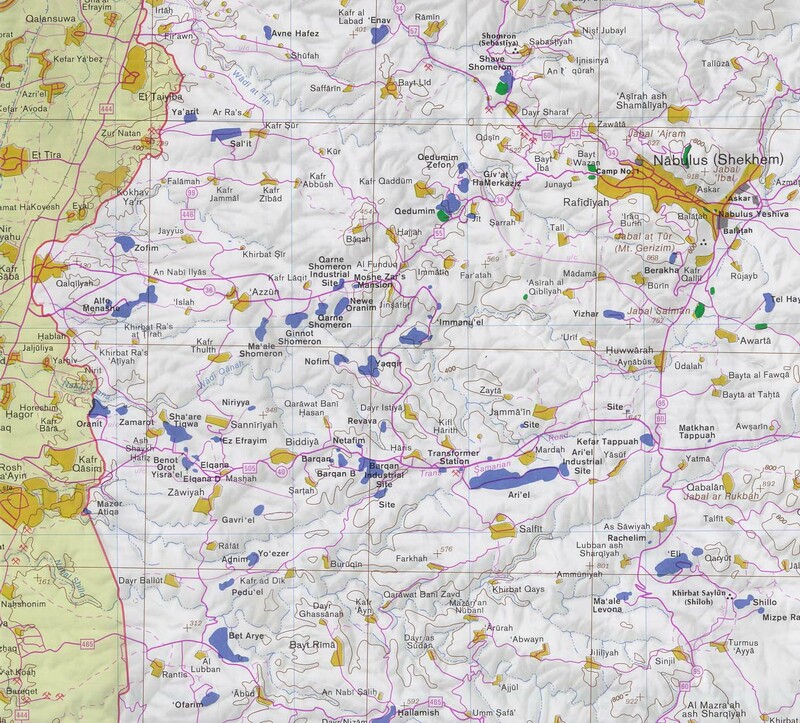 July 2, 2003: Israel confiscates 500 dunums (125 acres) of land from the Palestinian town of Sinjil. 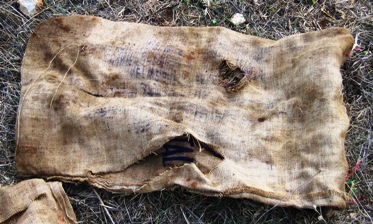 June 23, 2001: One hundred fifty settlers from Shilo attack Palestinian residents and burn fields in Sinjil and Turmus. 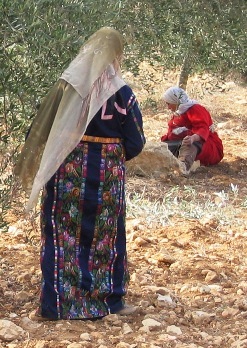 March 1, 2001: Al-Quds reports settlers confiscating 4,000 dunams of agricultural land from the village of Sinjil, in Ramallah. 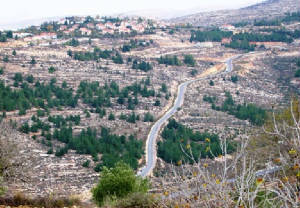 The land is between the settlements of Shilo, Eli and Ma'ale Levona. 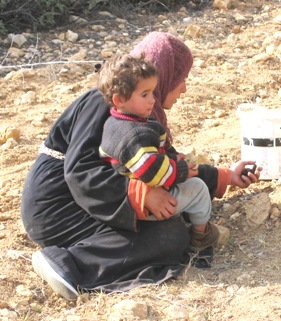 2000-2001: With the help of the Israeli army, the settlers of Shillo settlement, built on Sinjil village land, bulldozed a wide stretch of Sinjil land to open a new bypass road linking Shillo and Ma'ale Levona settlements. 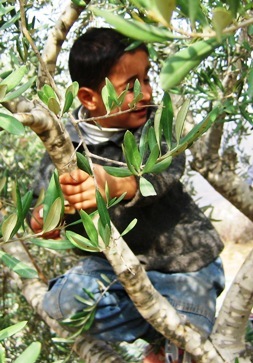 The Shillo settlers had exploited current closure on the West Bank in which Palestinian movement is restricted and started bulldozing and uprooting the fruit trees, damaging thousands of dunums of land that lies in the Alraseed and Abed Alrahman Ben Ouf regions. The colonists have previously tried to seize this land on a number of occasions but the villagers have always managed to prevent them. As a result of the closure, the people of Sinjil village are no longer able to prevent the colonist from constructing this bypass road. November 13, 1998: The BBC's Paul Adams reported from, where residents awoke to find that in the dead of night Israelis from the nearby Eli settlement had paved a road through the middle of village lands, and tractors had been placed to start plowing more land. Adams interviewed a settler named Rivka, who said that the settlers strategy to respond to Wye was "simply to build." Why were we needed in Sinjil? 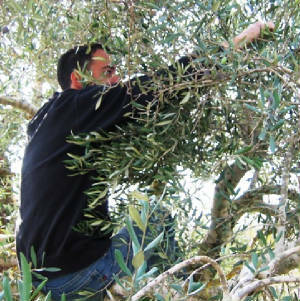 On Sunday, November 13, 2005, a group of some ten teenage girls, apparently students in an ortodox settlers' boarding-school, equiped with "Japanese knives", paid a hostile visit to the olive groves, attempting to rob sacks of olives that had just been picked. 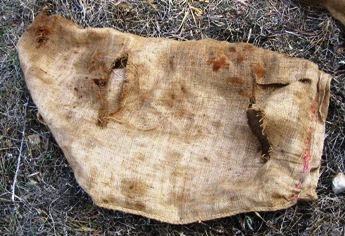 Failing that, they tore apart those sacks to disperse the olives, and attacked an elderly lady who needed hospital care. The army was present but refused to interfere except to protect the safety of the violent teenage settler-girls. Ynet (Hebrew) 30 November 2004: A year ago, same story, same place. Same settler-girls? Ynet (in Hebrew) 16 November 2005: Settler girls detained ... The army intervened only to prevent the Palestinian victims from chasing the aggressors away. Ynet (Hebrew) 17 November 2005: One of the girls detained also charged with calling for Sharon to be assasinated. Ynet(Hebrew) 18 November 2005: "The detention of the right-wing activists prolonged." 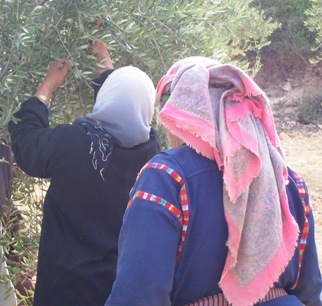 Ynet (English) 16 November 2005: "Settlers disrupt Palestinian olive harvest"
Ynet (English) 18 November 2005: "Court extends remand of rightist girls suspected of harassing Palestinians"